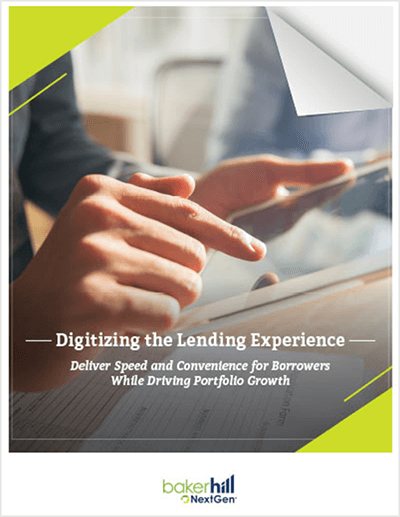 Deliver speed and convenience for borrowers with online lending technology. © 2018 Baker Hill Solutions, LLC. All rights reserved. Baker Hill and the Baker Hill marks used herein are trademarks or registered trademarks of Baker Hill Solutions, LLC.